Hello there. How is everyone doing? I can't believe that the summer holidays have begun. Time for those summer lessons. Miss C has been asking for art lessons and we just haven't been able to fit them in around school and after school activities, so this is the perfect time for it. She's so excited. Summer also means the end of our weekly Thursday crops and kids' classes until school begins again. 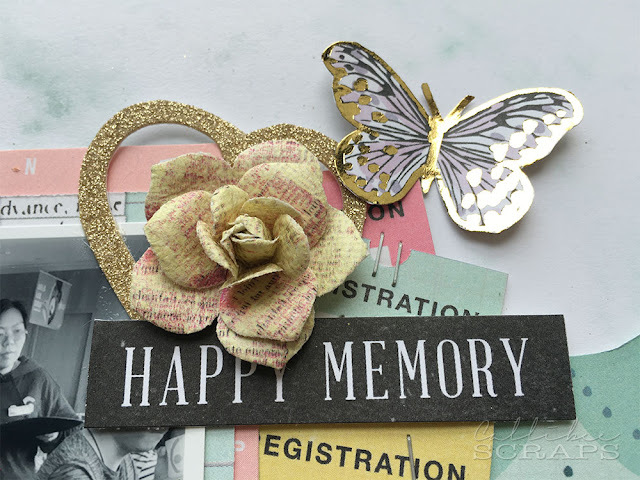 I'll still be scrapbooking on my own, just a little bit less as I'm hoping to do more things with Miss C while I have her at home. Just hope the weather will cool down a bit so we can do some outdoor activities. It has been swelteringly hot in Hong Kong; to the point where some people have collapsed from heat exhaustion. Not good. Anyway, here's a layout I did a few weeks back. This kit is so pretty. Love all the pastel colours. So spring like. Love this photo of Miss C enjoying her most favourite food - sushi. First, I cut the scalloped patterned paper and laid that across the page.For the butterflies, I outlined them with a Heidi Swapp Minc toner pen and passed it through a laminator with gold foil. 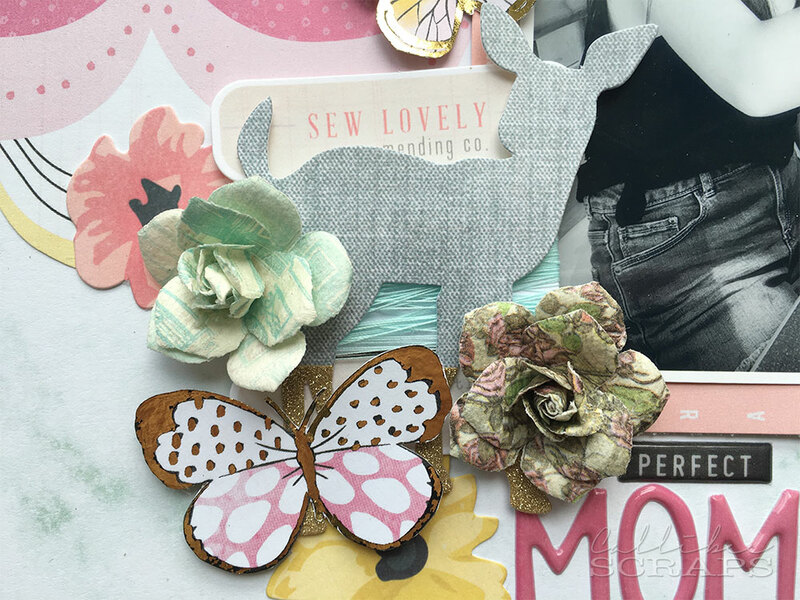 I wound some blue thread around the diecut bobbin behind the deer to add another texture.